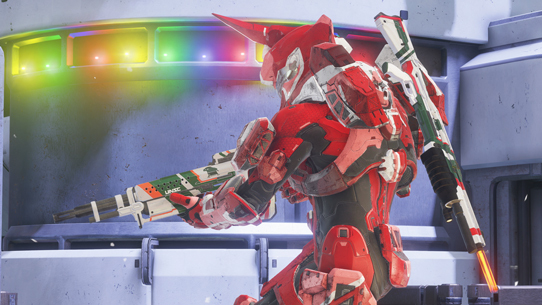 Welcome back to this week’s edition of the Halo Community Update. It is quite a busy time within the (still-new-feeling) studio walls, and very much a calm before the upcoming storm of events and releases. We've got a quick update today, and one that focuses on many - but not all - of the things that lie ahead. The Halo Wars 2 team ships off to Germany for gamescom tomorrow, and they bring with them new Halo Wars 2 content to show off. If you can’t make it to the grand festivities, fear not, as we’ll be bringing details and news straight to your device of choice on Waypoint, Twitter, and Facebook. 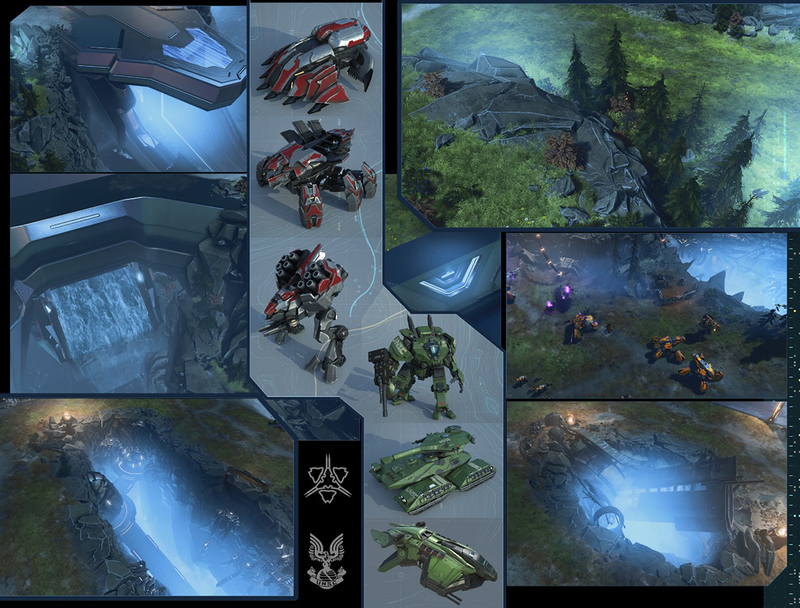 Oh - and be sure to read on for a new HW2 visual teaser later in today’s update. 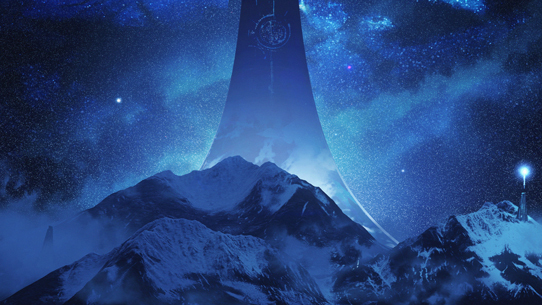 On the Halo 5 front, there is much in the works, and much on the way. Final efforts are underway for the next Halo 5 drops on both Xbox One and Halo 5 Forge for Windows 10, which will of course include support for mouse and keyboard as well as optimized Forge controls, 4K support, the ability to play custom games while wearing your KBMOD t-shirt, and more (for free!). The next Halo 5 content release will include a variety of goodness, with new places to play, new REQs to wreak havoc with, and more. New objects and features are coming to the world of Forge. Also included (and my personal favorite) is the Halo 5 Content Browser, which will let players on both platforms discover incredible community-created content with new file options, linked screenshots, prefabs, filters, trending maps, and more. Over the next few weeks, we’ll be sharing the name, release date, and full contents of this next update. The multiplayer team has also been keeping a close eye on playlist feedback and requests for Action Sack, and gathering their favorite candidates from all around, including the Waypoint forums, ForgeHub, Twitter, r/Halo, the front page of r/all (congrats to the Forgers who have gotten millions of views on their creations!) and more, and excited to confirm that the playlist is indeed on the way. Additionally, the team is working directly with several community Forgers directly to get their latest maps, modes, and recommendations. Playtests are ongoing, and the team is working to get the playlist up as soon as they’re able – look for an exact release date (as well as a list of launch maps and game types) as soon as everything is locked. We'll continue to provide status updates on not only Action Sack, but additional playlists as well. And now, I hand things over to Grim. Thanks Bongo! We’ve got plenty of yummies bubbling and brewing around these parts to be sure, and on a variety of different fronts. From upcoming events to lovingly-curated loot drops, there’s truly never a dull moment for Halo fans. 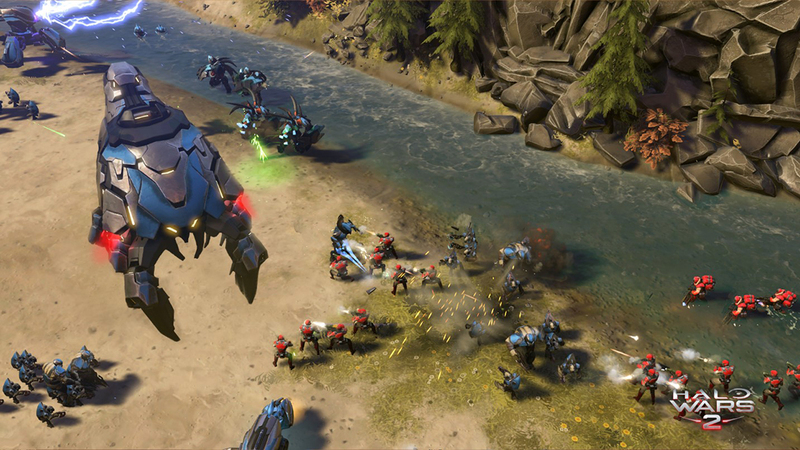 Yesterday, our own Dan Ayoub penned some prose to update the community on how the learning from the Halo Wars 2 open beta has already begun making a direct and positive impact on the final game. Among the gameplay topics he addresses are Controls, Leader Abilities, Bases, Resources and Energy management, and Population. It’s a great read not just for folks dying to hear more about the upcoming RTS title, but also for those interested in how the development pipeline works from playtesting to product release. You can check out the entire article on Waypoint right here. As Bravo alluded to, the hour soon approacheth when tens of thousands of jetlag-infused game fans will descend upon two distinct – yet spiritually similar – events to partake in gaming passions with like-minded enthusiasts. Next week, the proverbial “other side of the pond” will be the heart of the gaming world as gamescom takes center stage. 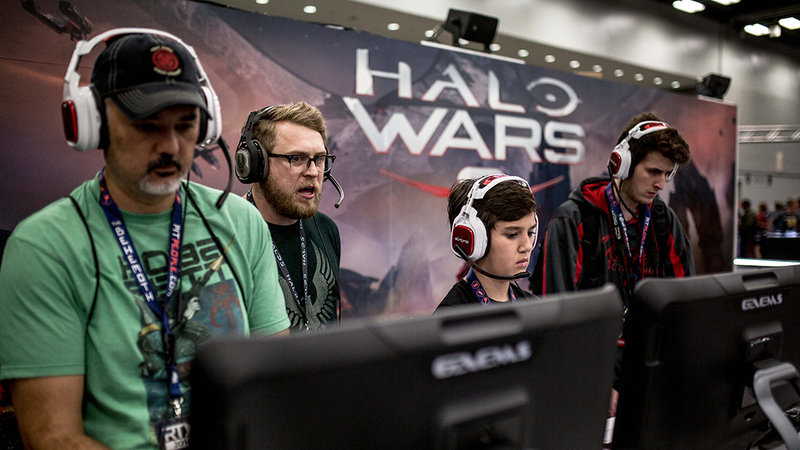 Halo will be there in full Halo Wars 2 regalia, playable on both Windows 10 and Xbox One, showcasing some delightful new bits and bobs to tickle your Halo fancy, and at the beginning of September, 343’s “home-field” event hits Seattle in the form of PAX Pri – er, West. Many 343’ers will be on the show floor (some working, some pretending to work, and others simply waiting in line to play games), and we hope to meet each and every one of you who comes to hang out. Be sure to say hello! While regular readers around these parts will no doubt have heard us wax poetically of the upcoming Halo Legendary Crate, we recently revealed Halo’s version of the famous Loot Crate “Mega Crate” – lovingly dubbed the Halo Mythic Crate. Here’s the basic skinny: one very lucky Halo Legendary Crate subscriber will, in addition to the standard fare of carefully curated and custom Crate items, receive an extra special loot drop that includes some particularly special items. Perhaps the crown jewel of said supplies will be the helmet that Mike Colter donned as then-ONI Agent Jameson Locke in Halo: Nightfall. Yes, the actual helmet – not a replica. 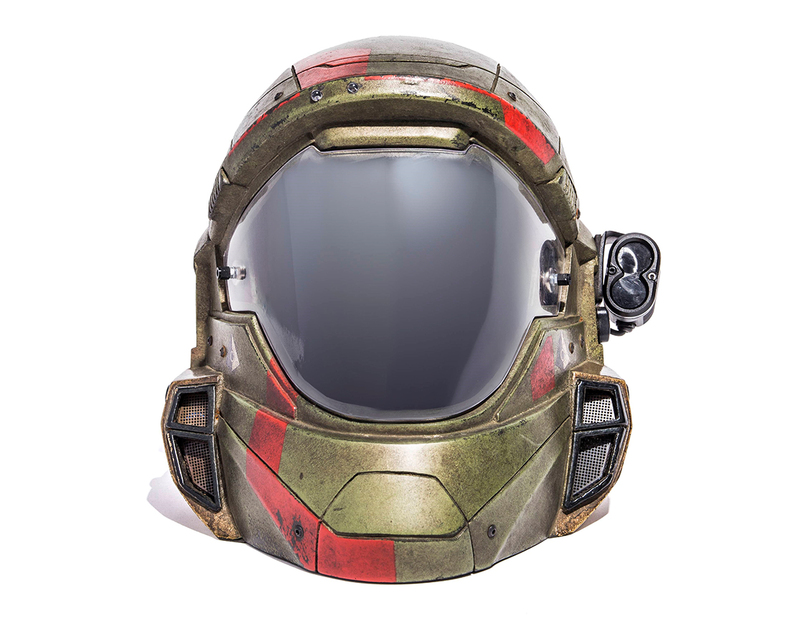 Earlier today, Ben from Lootcrate also posted a hi-res image of the helmet during the Legendary Crate AMA. Check out the full (even bigger!) version here. While we take full responsibility for the inclusion of such a sweet legendary piece of Halo history, we cannot be held responsible for the silliness it might inspire should a passionate halo fan decide to wear it themselves during everyday activities such as trips to the local grocer, romantic dinners with their lovely, or teaching a local spin class. For more details on the contents of the Halo Mythic Crate, check out the feature by our pals at Nerdist. And don’t forget, to have a shot at this you’ll want to hurry and reserve your Halo Legendary Crate: Founders Edition – you’ve only got until Aug 15 to do so, and you can put digital pen to paper right here. That’s it for me – Let’s kick it back over to Brightside to close things out. Until next time… Live well, play Halo, and never pinch a Prophet’s waddle. The objective is to throw the ball into the enemy goal. But beware - the gravity volumes will allow you to throw it a lot farther than you may be used to! You can grab the game type here, grab the newly updated map here, and check out a video from Comedy Aerosol here. Earlier this week, a few Machinima fans (Skoopa92, Roystage, & Jack (Pep) Hahn) hit us up on Twitter and mentioned that they’d love to see the occasional Machinima spotlight, and we’d love to make it happen. This week, we’re taking a look at one of favorites from earlier that year that we haven’t yet shared on Waypoint – Man vs. Phaeton from KnightmareFilmz.